Hey, Michael Olsen, former author of PRO3 Line, we could really use a hand. Better yet, send Melanie Olsen, the really funny one in the family. Don’t believe us; check out “A Squirrel Named Peanut Butter” at https://melanieolsen.me. How about you, Satch Carlson? We could really use your help. Or John Phillips and Peter Egan? Now that you’re semi-retired from Car and Driver and Road and Track—how about lending a hand? When you write about car racing, what the hell do you write about in the OFF SEASON?! Yeah, we know, there are other series like IMSA, but this column is about PRO3. And from October through March that means zip. We could write about the 2017 season, but most of you know that champ Shaun Northrop is moving on to the Spec E46 class–like PRO3 champs Olivier Henrichot and Charles Hurley before him. So, there’s plenty of room at the top for new PRO3 racers. We could talk about big changes at the conference level—an all-new board and lots more involvement with SOVREN. Or all the stuff at the club level—IRDC with a new board and lots of new ideas, like more HPDE run groups in race weekends—Cascade getting involved with the INDY and Pirelli World Challenge races at PIR—NWMS making major improvements at Spokane—and Team Continental regrouping for 2019 at the always exciting Oregon Raceway Park. We could talk about car prep. But frankly, neither of us knows much about that. And when you’re already racing, and up to your eyebrows in sketchy MAFs units and bent subframes, that’s about the last thing racers want to hear about. We could talk about driver improvement, but Ross Bentley has that covered. Plus, go visit PGP or another Karting track in the rain and snow to see who’s really doing their off-season prep. So, let’s talk about “getting involved.” I know, that usually means someone is about to hit you up for money, but that’s not the case here—we promise. Reading Zündfolge means you probably own, or want to own, a BMW automobile. And you undoubtedly know that they are the “ultimate driving machine.” But have you ever EXPERIENCED that? Have you ever taken your car to a race track to see what it could really do? If not, we guarantee that you will be blown away. 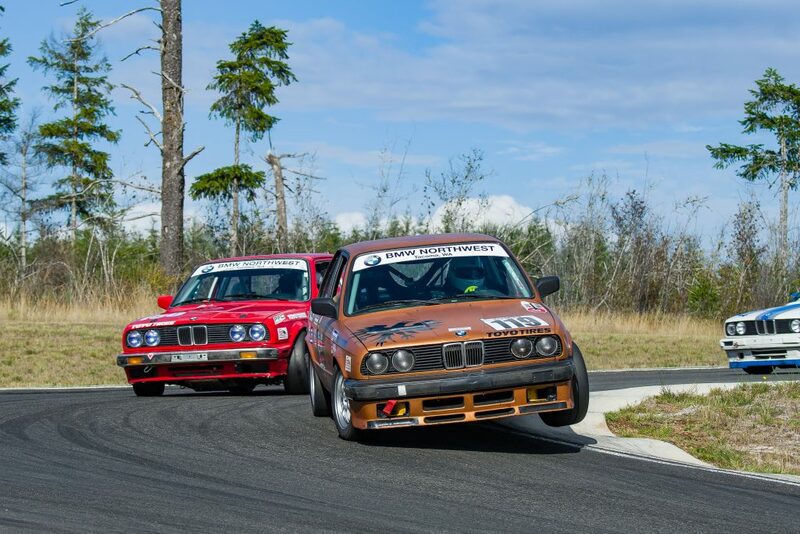 Even our 30-year old E30’s have handling capabilities that you can’t even imagine. The grip, the balance, the braking is simply awesome—totally involving and totally fun. Try it and you’ll never look back. Unless you suffer from serious motion sickness. Or your significant other is a real party pooper. So, how DO you get involved? Simple. 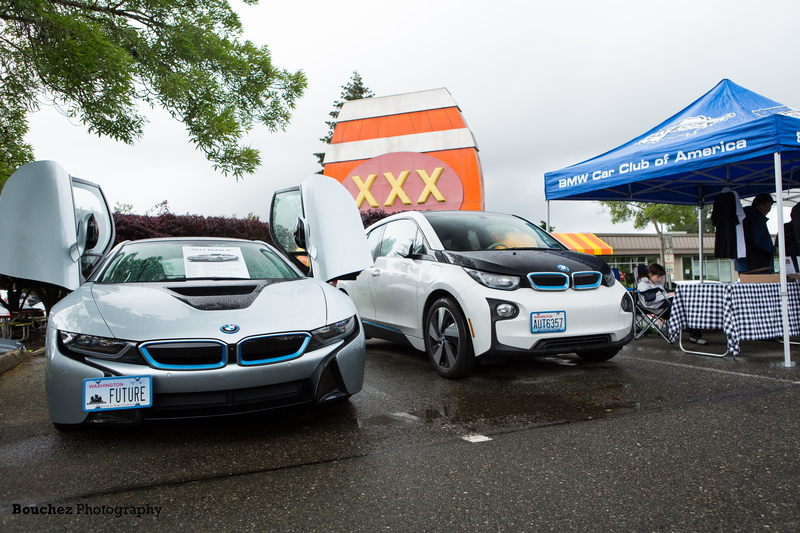 In our conference, the International Conference of Sports Car Clubs—yeah, that’s why we use ICSCC–there are six sanctioned road course tracks in the Pacific NW. All have their own driver training and HPDEs (High Performance Driving Events). Just go to the website of the club or school operating the course nearest you, check out the Schedule or Calendar, look for Practice Days or Driver Training, and sign up. A couple clicks is all it takes. These events usually start in March or April. If you have any problems, give us a call. Here are the courses and sites. When you get to the event, ask the instructors if there are any PRO3 drivers around. We’d love to meet you and lend a hand. Maybe even give you a free PRO3 calendar or photo bomb your selfie. Ready to get your race license? www.icscc.com/season.php shows seven, count them, seven, drivers’ training schools this year. Schools are available at ORP, Portland and Pacific Raceways, so there’s one near you. Registration is already live for the April and May schools. Now, if you’re already racing, “getting involved” means something else entirely. At the IRDC club level, the current President (Gama Aguilar), Contest Board Rep (James Crivellone), Course Marshall (Dave Weller) and Chief Driving Instructor (our very own Bill Ecker) are all current or alumni PRO3 racers. And a huge THANK YOU to one who really got involved, Lance Richert! Lance–who has singlehandedly been the engine behind PRO3 sponsors, calendars and countless other enhancements—is now enjoying the fruits of his success as an architect (www.lancerichertarchitect.com)–and slowly transitioning the nuts-and-bolts work of PRO3 to the next generation. To Lance, all of PRO3 extends a lifetime supply of gratitude and respect!